Screed admixtures have been especially development to give cement screeds additional properties. It can improve adhesion, drying time, strength, pressure and tensile strength of a cement screed. We have a great technical and sales team waiting to discuss your project to make sure that you’re using the right solution for your project. Tekcem has a number of self-levelling floor screeds. Tekscreed is a powder admixture used to increased the strength and greatly improve the drying time of traditional sand and cement screeds. Isocrete K-Screed is a semi-dry cementitious screed incorporating proprietary additives to produce an early drying, high strength screed for high traffic areas, combined with rapid installation, high speed construction and excellent moisture control. A screeder must have a license to use Isocrete K-Screed. Sika products available including Sika Proof P1, Sika Viscobond, Sikacim No Crack Concrete Fibres, Sika Rapid Hardener, Sika MaxMix, Sika Accelerator and many more products available. ARDEX manufacture a range of award winning latex and water-based products, which can be applied at various thicknesses, from a feather edge up to 35mm. We supply the following screed admixtures from ARDEX, Ardex E90, Ardex E25, Ardex E101 and many more! Ronafix is a single part modified styrene butadiene liquid additive for cement mortars which enhances physical and chemical properties, allows mortars to be placed in thin section, provides waterproofing and resistance to frost and promotes adhesion to building surfaces. Ronafix screed admixtures which are available are Ronascreed 8 Day Overlay Fast Drying Screed Additive, Ronafix for Screed, Ronafix Universal Additive, Ronafix for Bonding and Bedding and many more available! Mapei manufacture a range of products for screeders, Mapei was established in 1989 and has a start of the art manufacturing facility in Halesown, near Birmingham. UZIN provides high quality products and solutions subfloor construction. In recent years we have expanded our product range and now produce an innovative array of specialist screeds, additive and a system for concrete polishing. Additives for modifying cementitious and calcium sulphate screeds. 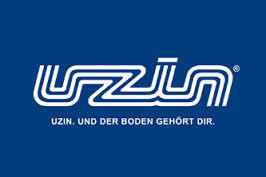 We supply UZIN AS 31, UZIN A 32 and UZIN AS 41.